And kills off a major character too. Marvel's Infinity Wars event has somewhat slipped beneath the radar in recent months, despite releasing in the wake of the immensely popular Infinity War. Irrespective of whether or not Marvel have been successful in capitalising on that film's hype, the comic (written by Gerry Duggan and drawn by Mike Deodato), has been anticipated by comics fans ever since Infinity Countdown concluded, with the identity of the series' new big bad - Requiem - of pivotal interest. The character wields a special Asgardian armour, and had been operating in the shadows... until now. Last week, it was revealed that the character had actually killed Thanos. A shocking twist, especially so, in light of the fact the new Infinity Watch (led by the likes of Doctor Strange, Captain Marvel, Star-Lord, the Guardians of the Galaxy and Adam Warlock) was gearing up for a potential challenge by the Mad Titan. This would've made sense as Marvel aimed to align their comics with the MCU, but the introduction of Requiem and Thanos' death have completely changed the game. 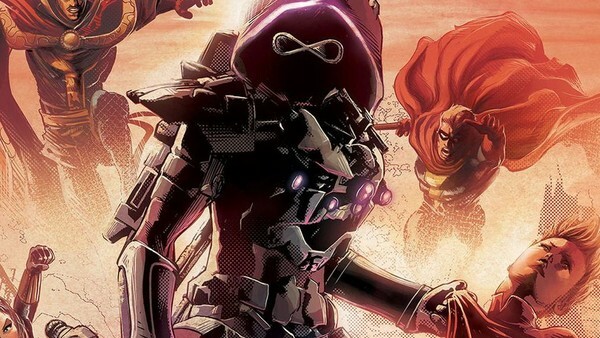 This week's Infinity Wars #1, which follows on from the events of Infinity Countdown, finally revealed Requiem's identity, and it's safe to say no one really saw it coming. As the new Infinity Watch discover that Thanos' has been killed, the group begin to bicker and panic. All members are meant to carry the Infinity Gems on them at all times, but when it transpires that Star-Lord has brought a fake version of the Power Stone with him instead of the real deal, things take a turn for the worse. Requiem then crashes the party, and reveals their identity to be Gamora - a shocking surprise, considering that many had thought the real culprit was Nebula, as well as the fact that the Daughter of Thanos had been heavily involved with the Guardians' activities as part of the new Infinity Watch. 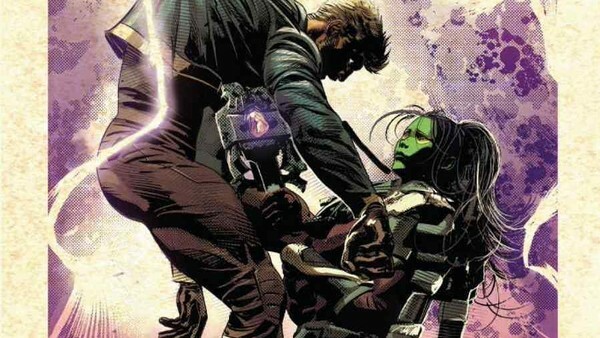 It soon turns out that Gamora had swapped out Peter's real Power Gem for a fake one, and as the new group stand in the way of her quest to unlock her soul from the Soul Gem, she then kills him with her new, Power Gem-infused sword, sending the Infinity Watch on a path that's sure to leave friendships tattered, eyes teary, and heads scratched. What did you think of Infinity Wars #1? Will Star-Lord return? Let us know in the comments below!